A very nice mainly Tubastrea nano tank at AquaMedic's booth at IZOO 2010. 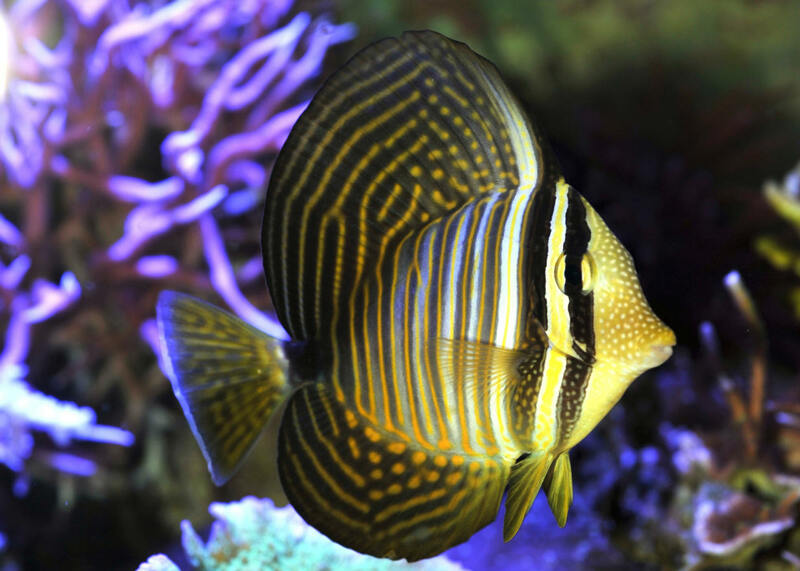 Zebrasoma desjardinii ("day-har-din-ee-eye") (Bennett 1835), Desjardin's Sailfin Tang. 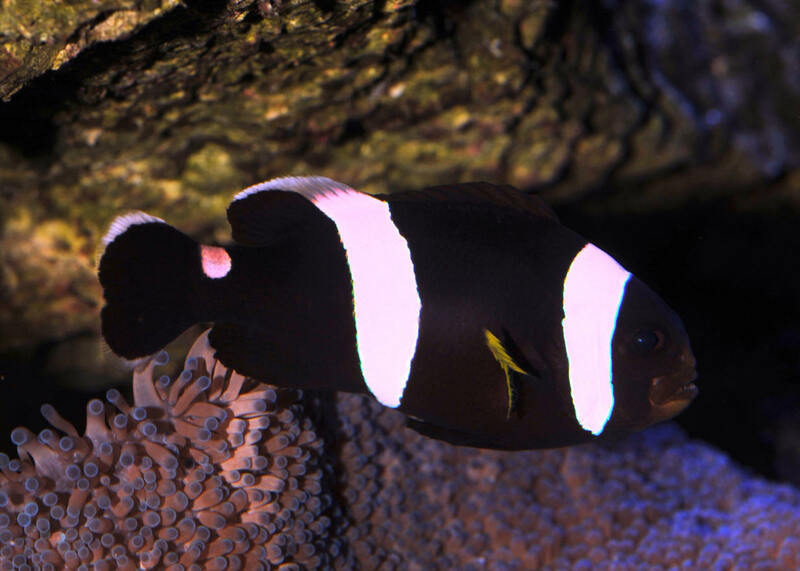 Seeing this fish and Z. veliferum at the same time might cause you to do a double take; they are very similar in color and markings. Desjardin's Tang comes to the trade mainly from the Indian Ocean or Red Sea. This one in an aquarium in CT.